LOS ANGELES - Los Angeles County Supervisor Sheila James Kuehl was unanimously elected as Chair of the First 5 LA Board of Commissioner at its meeting held on January 14, 2016. In remarks to the Board after her selection as Chair, Kuehl emphasized the importance of the Commission’s work to maximize its impact for the greatest number of children in L.A. County. In addition to supporting First 5 LA’s implementation of its 2015-20 Strategic Plan, Kuehl said she plans to focus on creating partnerships and alternative sources of funding to help advance First 5 LA’s mission. Elected unanimously as the Commission’s Vice Chair for 2016 was Judy Abdo, who was first appointed as a First 5 LA Commissioner in 2015. A Santa Monica councilmember from 1988 to 1996, Abdo served two terms as that city's mayor. She also is the former Director of Child Development Services for the Santa Monica Malibu Unified School District. “The work of this Commission is extremely important," said Supervisor Kuehl, who was first elected to the Los Angeles County Board of Supervisors representing the Third District in November of 2014. “When you run for office, it’s a pretty standard thing to emphasize 'the children, the children, the children.’ Fortunately, my colleagues and I have real opportunities to do something for our kids." Supervisor Kuehl worked to secure passage of a proposal, co-authored with Supervisor Hilda Solis, emphasizing child protection in a mission statement setting out the Board’s and the County’s commitment for prioritizing and improving child protection across all involved L.A. County departments. While known as a leader who likes to “shake things up,” Kuehl added she plans on focusing on continuing First 5 LA’s progress in implementing its 2015-20 Strategic Plan. Kuehl also stated she plans to work on creating partnerships and alternative sources of funding to help serve the County’s children. Prior to her service on the Board of Supervisors, Kuehl served eight years in the State Senate and six years in the State Assembly. She is the Founding Director of the Public Policy Institute at Santa Monica College and, in 2012, was Regents’ Professor in Public Policy at UCLA. 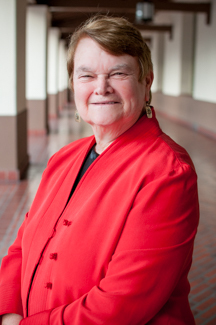 She was the first woman in California history to be named Speaker Pro Tempore of the Assembly, and the first openly gay or lesbian person to be elected to the California Legislature. Kuehl served as chair of the Senate Health and Human Services Committee, Natural Resources and Water Committee, and Budget Subcommittee on Water, Energy and Transportation, as well as the Assembly Judiciary Committee. She authored 171 bills that were signed into law, including legislation to establish paid family leave, establish nurse to patient ratios in hospitals, protect the Santa Monica Mountains and prohibit discrimination on the basis of gender and disability in the workplace and sexual orientation in education. She fought to establish true universal health insurance in California. Prior to her election to the Legislature, as a public-interest attorney Kuehl drafted and fought to get into California law more than 40 pieces of legislation relating to children, families, women, and domestic violence. She was a law professor at Loyola, UCLA and USC Law Schools and cofounded and served as managing attorney of the California Women’s Law Center. The First 5 LA Board of Commissioners is comprised of 17 members - nine voting, four ex-officio, four alternates. The Board includes voting members appointed by each of the Los Angeles County supervisors and the L.A. County departments of Children and Family Services, Public Health and Mental Health. The Board also includes representatives from other educational, children and families organizations throughout Los Angeles County. The Board of Commissioners meets on the second Thursday of each month at 1:30 p.m. unless otherwise indicated at the First 5 LA offices. All meetings are open to the public and agendas are posted at least 72 hours in advance.